Taklon is softer and more absorbent than most other brushes. 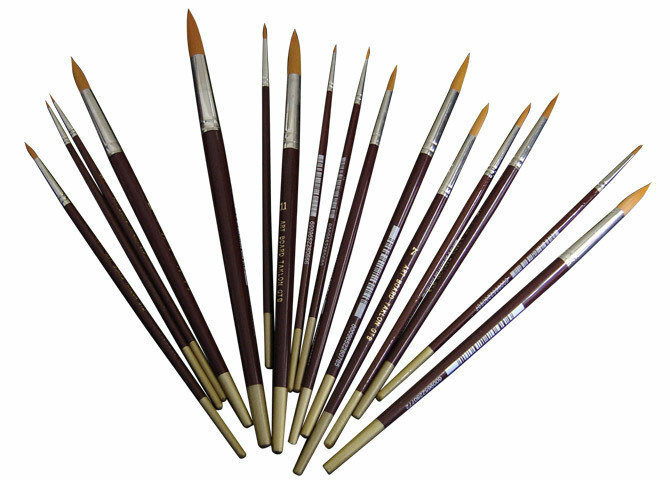 Synthetic brushes are recommended for multi-purpose use - oils, acrylics and watercolours. These brushes are durable and keep their shape and fibres for a long time and are more resistant to solvents.